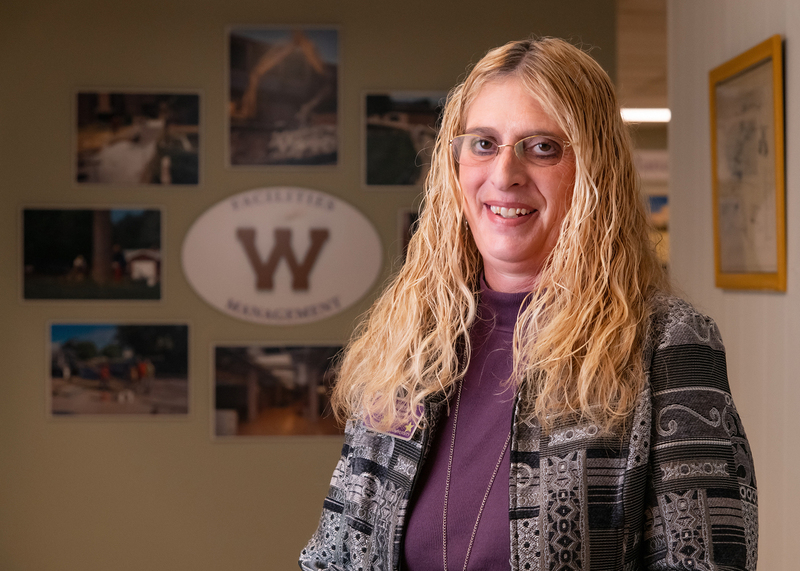 MACOMB, IL – Western Illinois University Facilities Management Staff Clerk Mary Howe has been named the Al and Elaine Goldfarb Civil Service Employee of the Month for February 2019. Howe began her career at WIU in August 1990 as a new hire in trainee program and completed the program in December 1990 as a secretary II. In July 1992, she was promoted to Data Entry Operator II in Facilities Management and in June 1994, she audited to Data Entry Operator III/ Clerk. She then audited to Chief Clerk in September 2008 and audited to Staff Clerk in February 2013. Howe's nominator said her work is a great example of the various duties that Civil Service employees excel at everyday at Western. "Mary makes sure that WIU's administrators, faculty, students and employees' needs and emergencies are solved effectively and efficiently," said the nominator. "Mary is the Facilities Management control manager and communication manager. All departments count on her and are never disappointed." In August 2010, the Goldfarbs established an endowment to permanently fund the University's Civil Service Employee of the Month award. The Goldfarb endowment is used to fund a $100 award for the recipient of the Civil Service Employee of the Month, as well as a plaque. The WIU Foundation provides a $500 stipend for the Civil Service Employee of the Year. Western faculty, staff and administrators, as well as community members, wishing to nominate a civil service employee for the monthly recognition should contact Civil Service Employees Council (CSEC) representative Christine Staley at CD-Staley@wiu.edu.